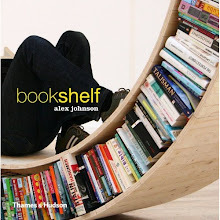 Since bookends are typically purchased as needed; they are often inconsistent. 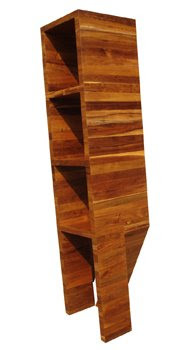 Giraffe is a slender bookshelf built from teak off-cuts and designed to eliminate bookends. With a height of nearly six-feet, together with four angle supports, this bookstand resembles a model trotting on a catwalk.